Our retractable roof greenhouse maintains excellent growing conditions and assures you of high-value seedling liners when you unload the truck or unpack your UPS boxes. Automated roof ventilation, mechanical flat handling, and ergonomic benches assure our staff that they can work comfortably, safely, and efficiently. This allows them to work smart vs. hard, and focus on techniques that add value to your liners. Our large cold storage building is well-ventilated and outfitted with high-pressure fog that allows us to periodically inject peroxide to maintain storage conditions without significant mold infestation. 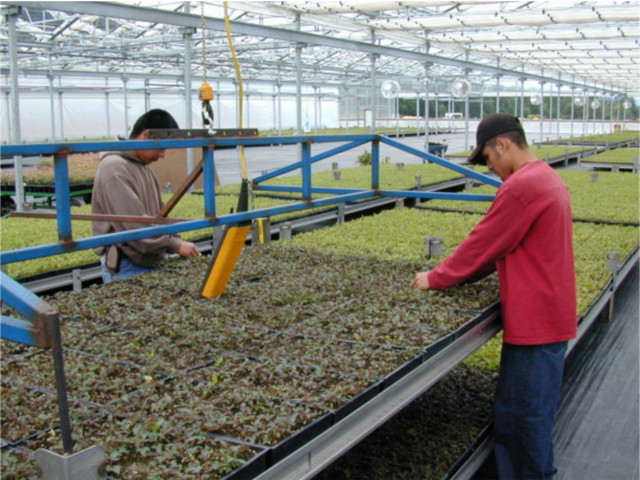 We cycle plants on a first-in, first-out basis to assure you of fresh plants on receipt. 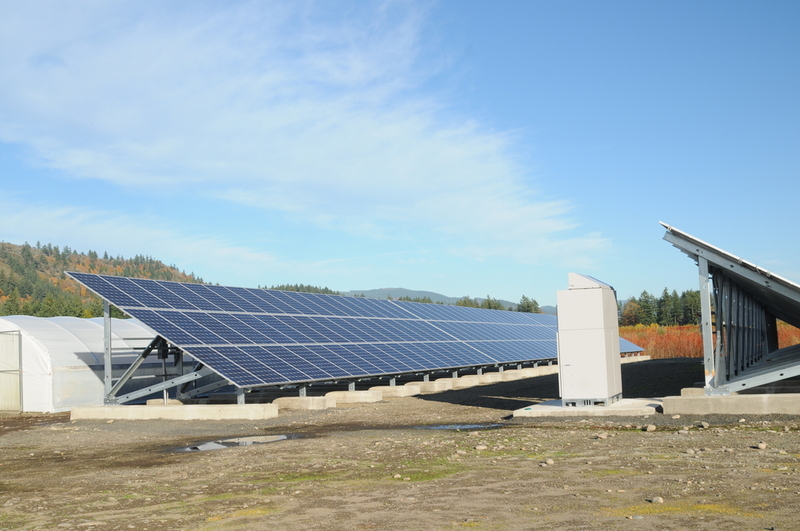 With a 73KW solar array to fully power greenhouse operations, we reduce our costs and our carbon footprint. 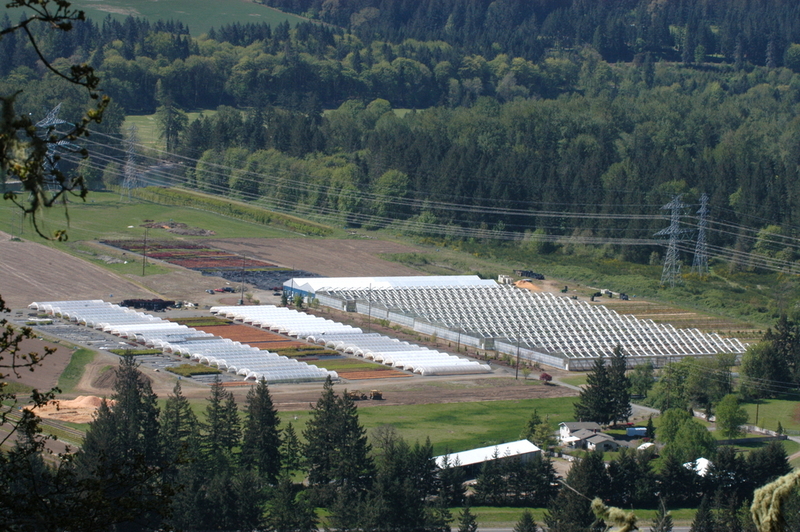 This is one of the largest solar panels in the Pacific Northwest nursery industry. It reassures us and all who visit that we are here to stay, efficiently producing the liners you need to succeed. 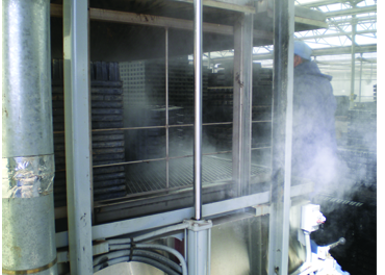 We steam clean all of our propagation trays. Since 2008, we also steam and re-use up to half of our used soil mix, combining it with new mix for propagation. Moreover, this nearly eliminates the need to apply herbicides to our containers. It saves a huge amount of cash, eliminates used mix from the waste stream, and still allows us to produce plants equivalent in value and quality to those we produced before with entirely new mix. Buy our liners without wondering if they have herbicide injury. Do your other suppliers use container herbicides? Ask them.